One of my aims this Summer is to see more of the country I live in, as England is full of gorgeous towns and villages with so much to offer! With this in mind I headed to the beautiful town of Marlow and checked into the Macdonald Compleat Angler hotel. This is a charming 4 star luxury hotel with award-winning restaurants including one by Atul Kochhar - what more could I ask for! 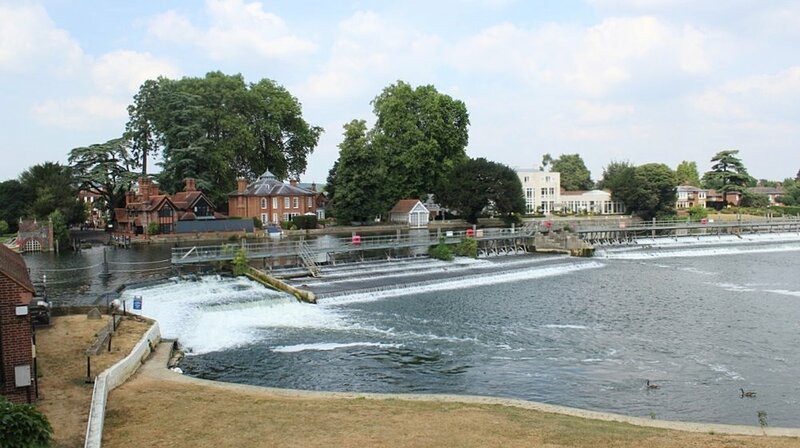 The hotel is located on the banks of the River Thames in Marlow, with views of Marlow Weir in the heart of Buckinghamshire. This is a unbelievably picturesque part of England, with an impressive church, landmark bridge, cute shops and even an Olympic rowing club! 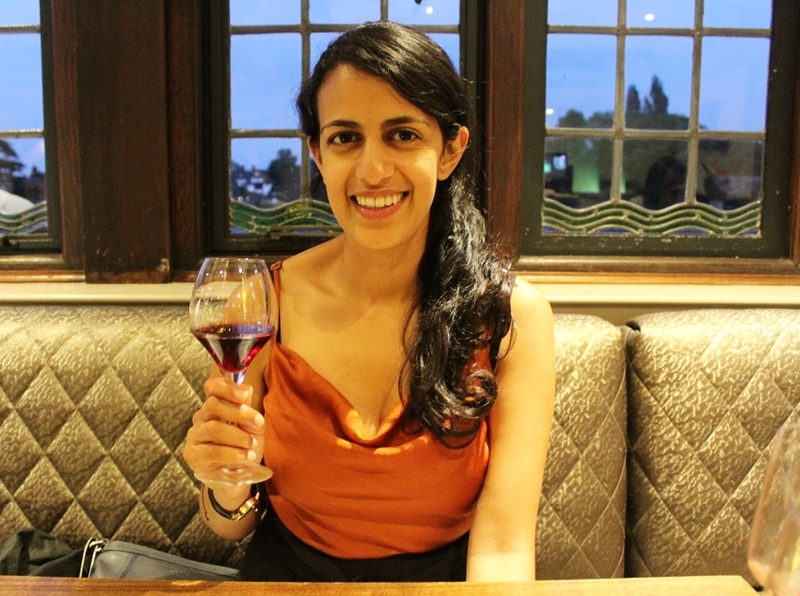 Marlow is also well renowned by foodies, especially since the opening of Sindhu, from Michelin-starred chef Atul Kochhar, a restaurant I couldn’t wait to try! The bedrooms at Macdonald Compleat Angler are quintessentially English, offering a timeless elegance and four-star luxury. We stayed in an Executive Room with panoramic views across the River Thames. The room was fitted with heated floors, air conditioning, Elemis toiletries and super comfortable bathrobes too. This was the ideal room for a weekend break, as it was spacious enough to relax and unwind in. I couldn’t wait to dine at Sindhu as I’d heard great things about it since it opened a few years ago. 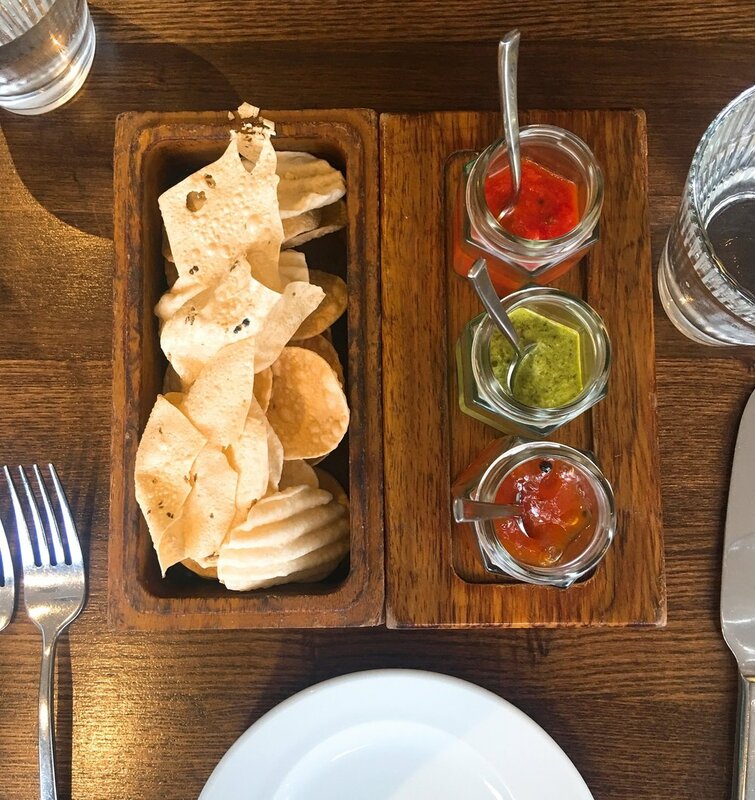 The menus here at inspired by Atul Kochhar's love of traditional Indian cuisine and adapted to combine beautifully with the finest British ingredients. 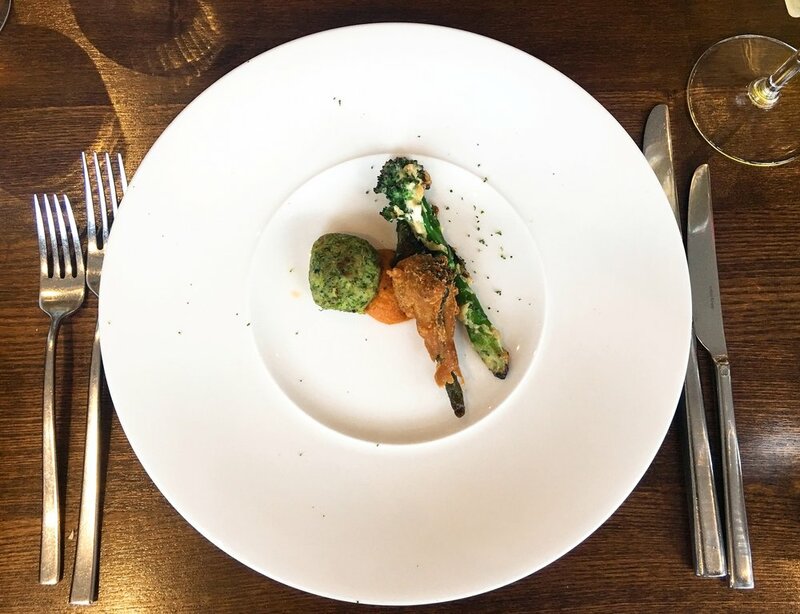 We tried the five course set menu with paired wine and were impressed with the quality of the ingredients and the elegant presentation of the food. 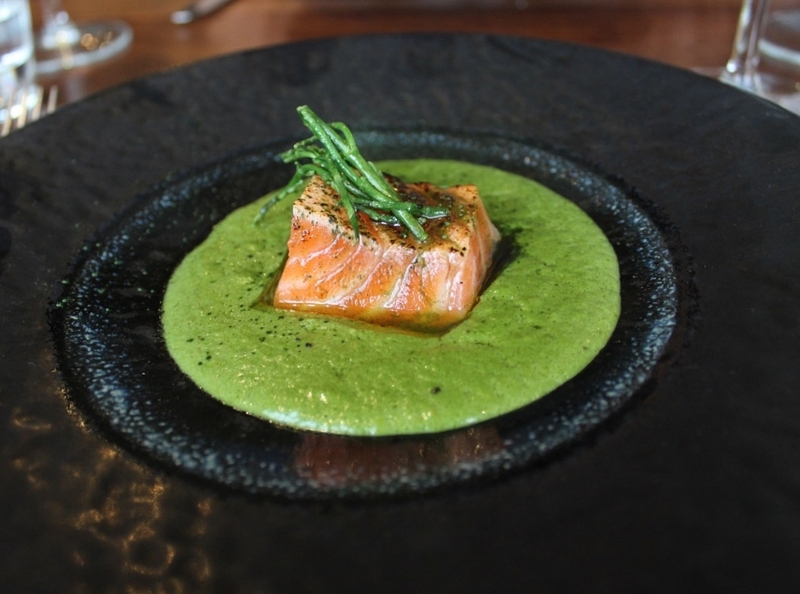 I particularly enjoyed the spice cured and flamed salmon as it was so delicate the salmon dissolved in my mouth. The Mango Bhapa Doi, a cardamom and banana dessert was also irresistibly delicious. The restaurant itself is set amongst the peaceful riverside backdrop, which makes it a welcoming and relaxing place for a luxurious evening meal. A good hotel needs a good breakfast and Macdonald Compleat Angler didn’t disappoint. As well as the standard buffet of breads, cereals and fruits guests can also order a hot plate from the menu. I tried the vegetarian English breakfast, on which all the elements were delectable. I then enjoyed my morning latte on the balcony overlooking the river - a beautiful way to end my weekend staycation in Marlow. Marlow is a gorgeous town and Macdonald Compleat Angler hotel matches the classic elegance of the town. 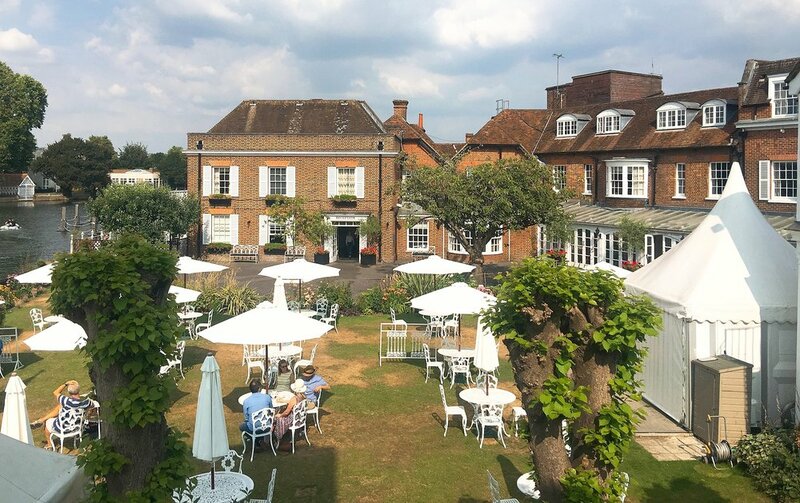 This is one of the best places to stay in the Marlow due to the unrivalled views, proximity to the city and luxury restaurant Sindhu. I really enjoyed my stay at Macdonald Compleat Angler and would recommend it as a short break to all. Special thanks to Macdonald Compleat Angler for their hospitality!